Our versatile ring collection accentuates each customer’s originality with jewelry pieces that are unique, classic and fashionable throughout time. Many items shown are in our inventory. Some pieces are "Signature Koorey Designs" and can be reproduced with different stones. These pieces can be custom ordered. Contact us to inquire about a piece and purchase. Or call (269) 857-8050. 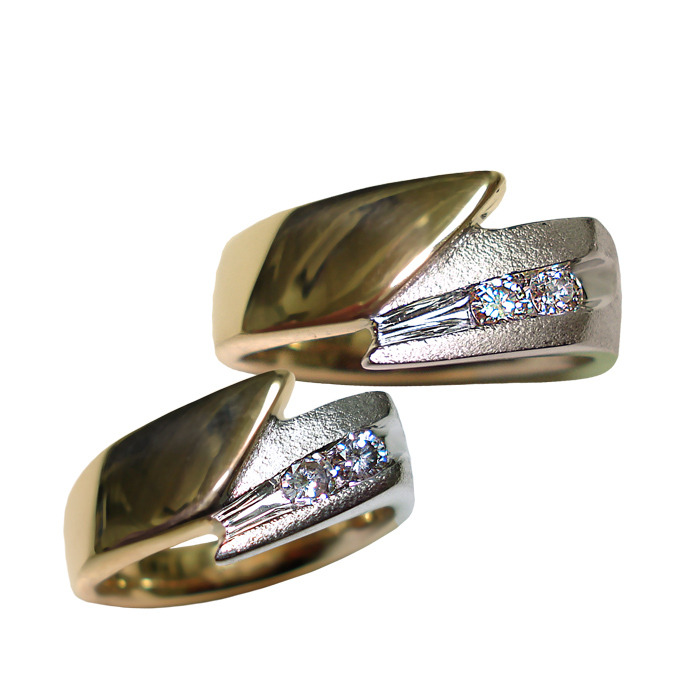 “Diamond E-Loop” ladies ring — Round Brilliant Cut Diamond, 1.05cts, set in 18k yellow gold and 14k white gold. “Jubilant E-Loop II” ladies ring, Jubilant Crown cut Diamond, .94cts, set in 14k white gold. 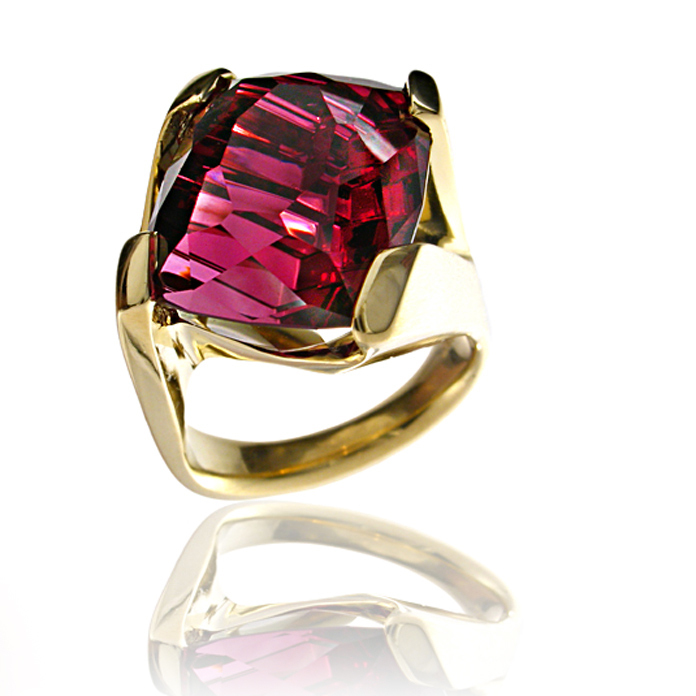 “Elegant Channel” ladies ring — Breathtaking Rare Red Tourmaline, 3.88cts, 10.8x9x6mm, set in 18k yellow gold. 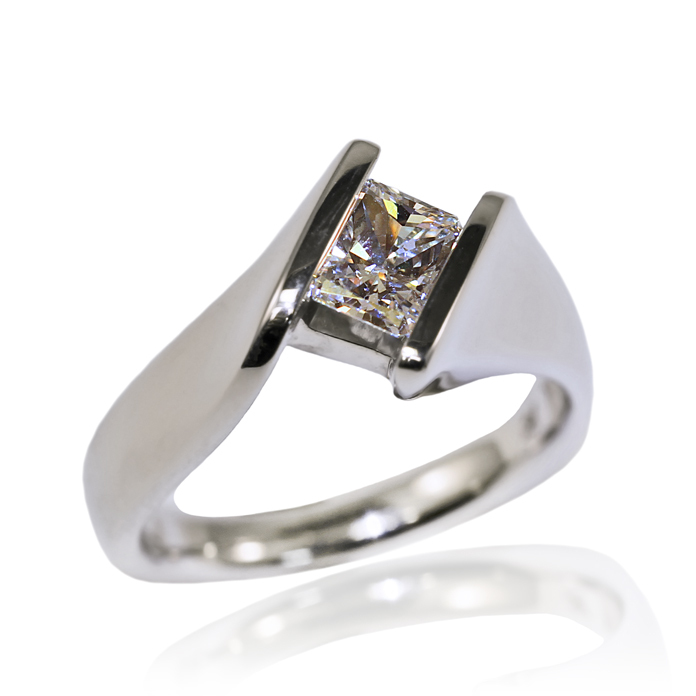 “Straight Princess” ladies ring, Princess cut Diamond, .72 carats, set in 14k white gold. 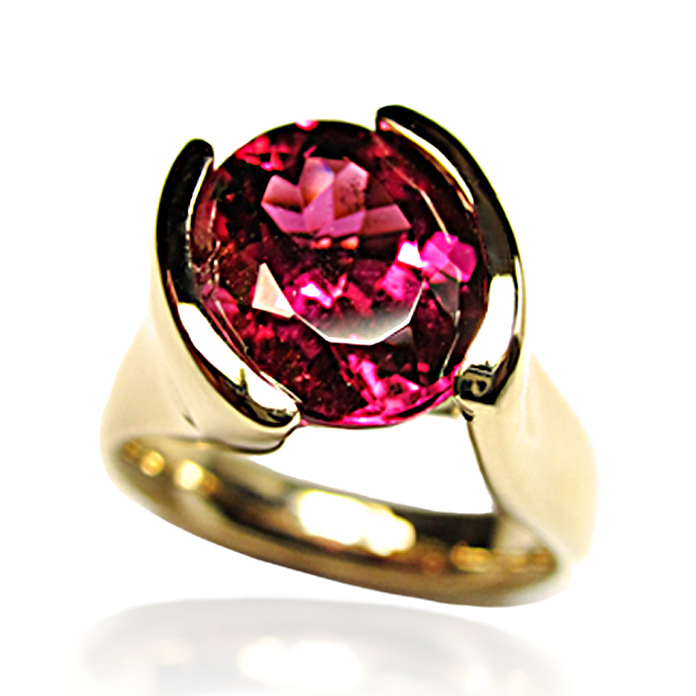 “Dragon’s Fire” ladies ring – Cushion cut Rhodalite Garnet hand cut by John Dyer, 16.64cts, set in 18k yellow gold. 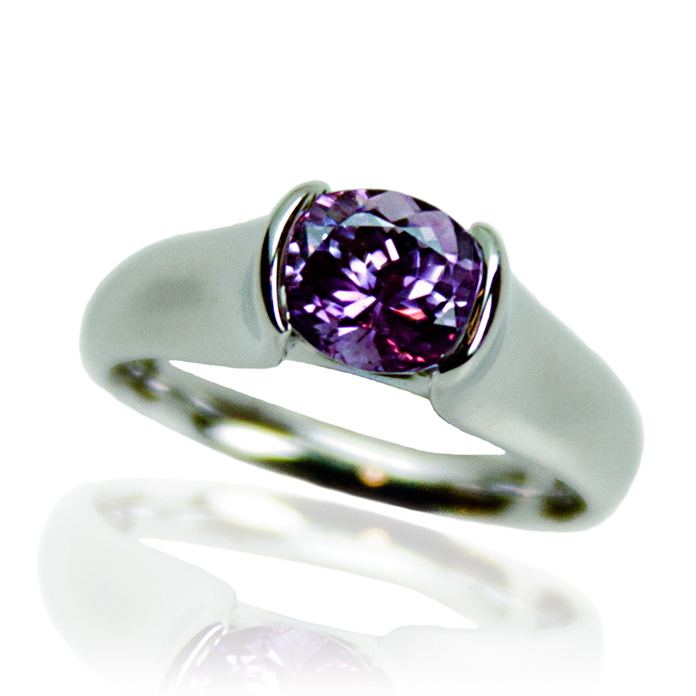 “Lavendar Pink Suspension” ladies ring — Oval cut desaturated Pink Sapphire, 1.94cts, set in 14k white gold. 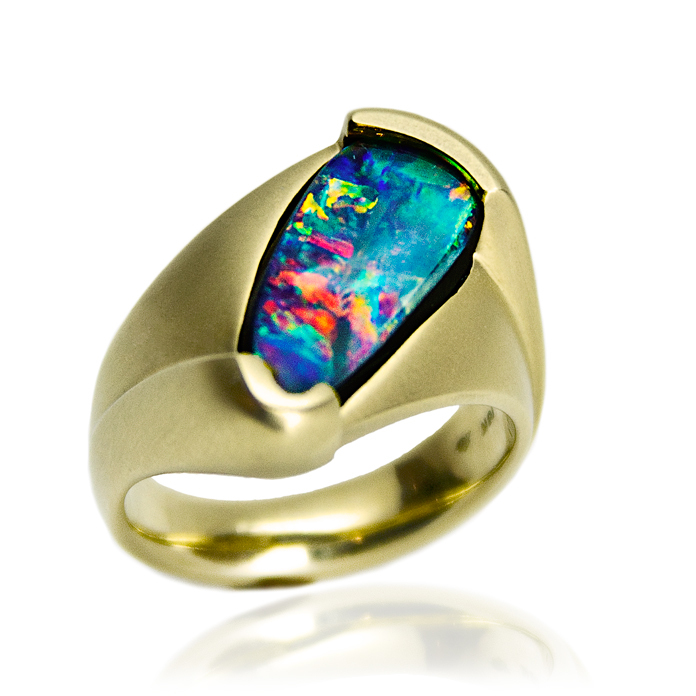 “Intensity” men’s ring – Hand-cut Australian Boulder, Opal, 7.48cts, set in 18k yellow gold. 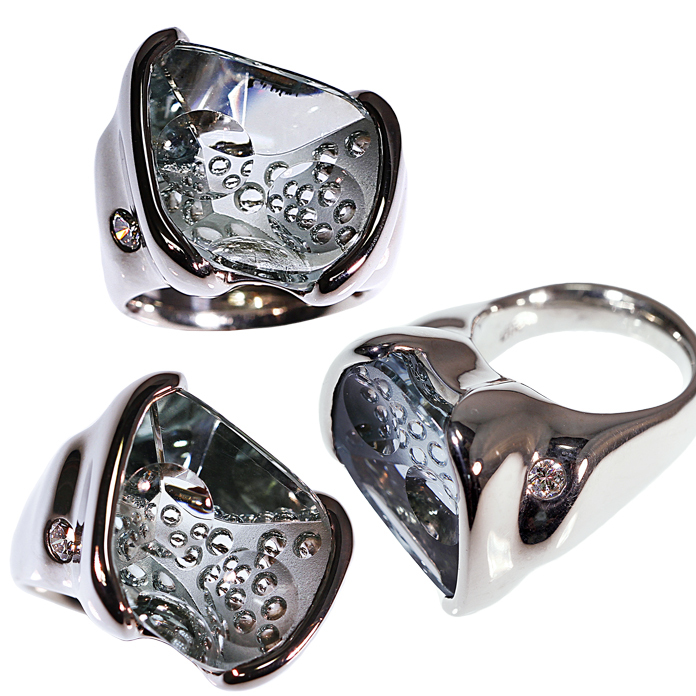 “Aqua Dispersion” ladies ring, Optic Dish cut Aquamarine by Michael Dyber, set in 14k white gold with one .12ct diamond. “Elegant Channel” ladies ring — Round Brilliant cut Diamond, 1.03cts, set in 14k white gold. 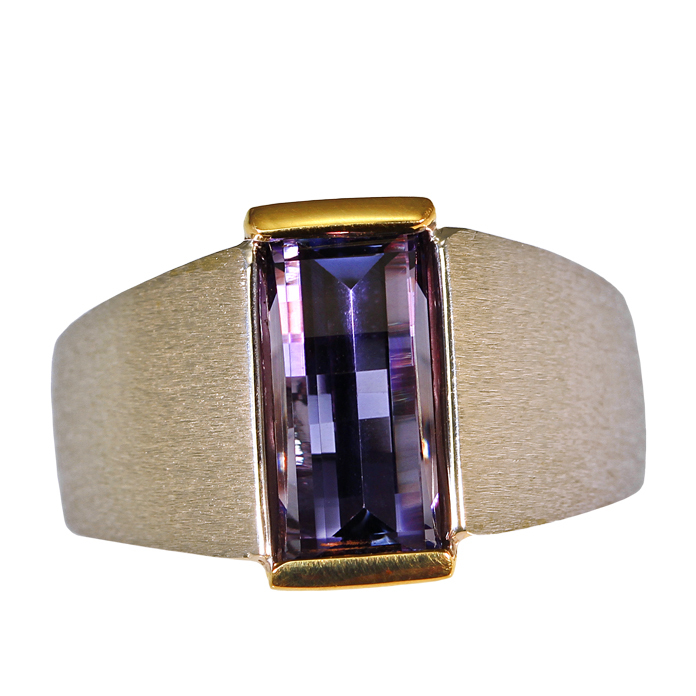 “Tanzaprism“ men’s ring — Opposes bar cut Tanzanite, 3.92cts, set in 18k yellow and 14k white gold. 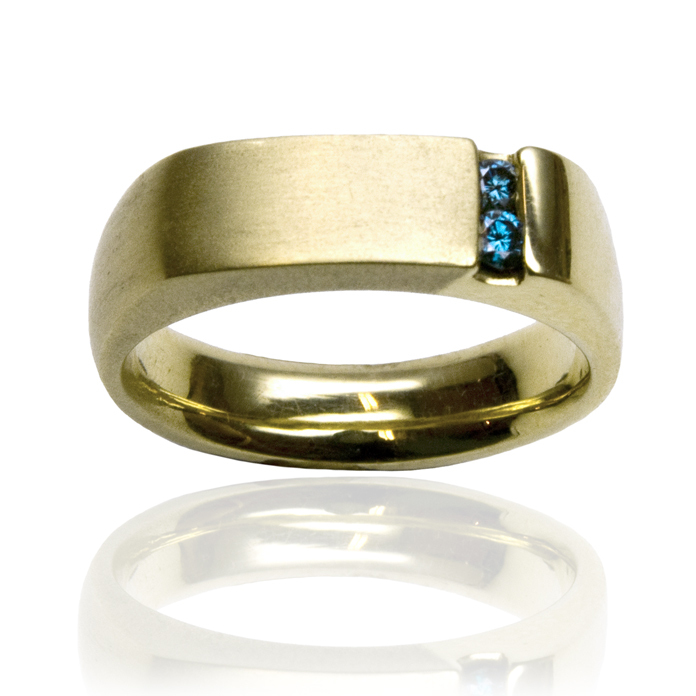 “Offset Channel” men’s ring — Two melee round cut color-enhanced Blue Diamonds, .10cts, set in 18k yellow gold. 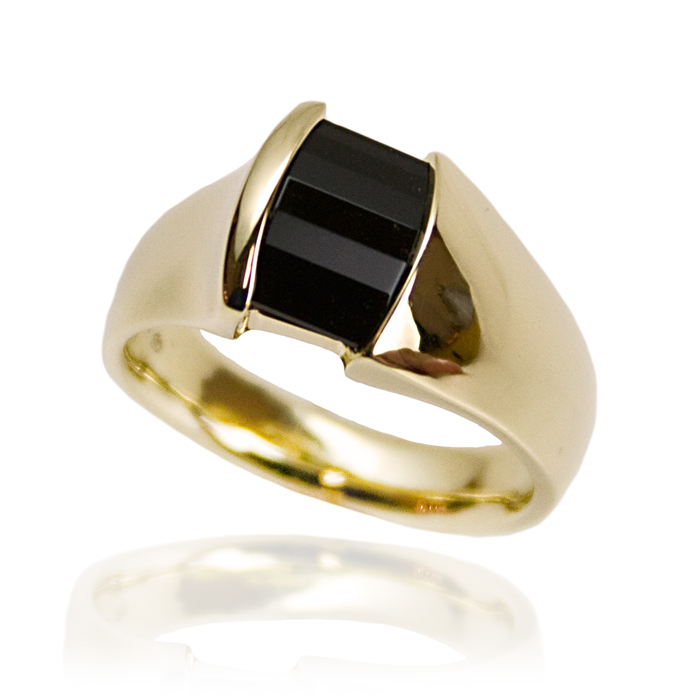 “Roll-top Onyx” men’s ring — Opposed bar cut Black Onyx, 14x10mm’s, set inset in 14k white gold. 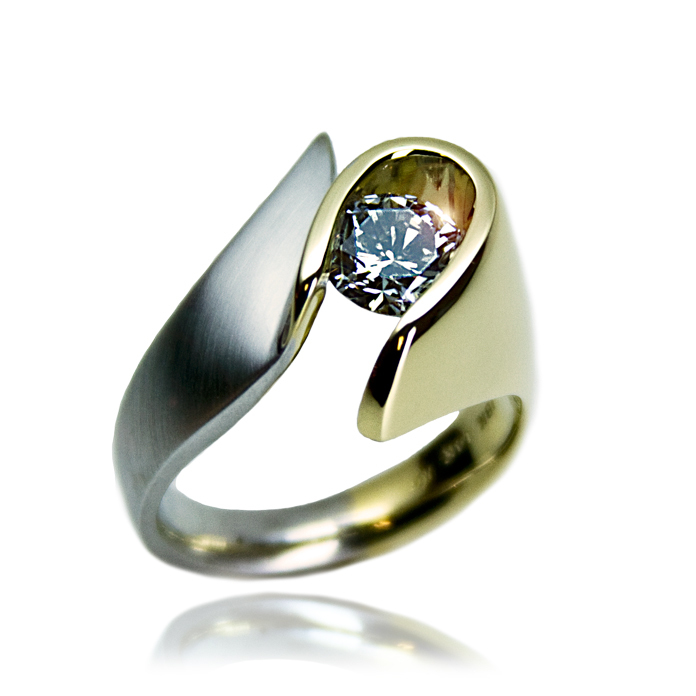 “Elegant Marquis“ ladies ring, Marquis cut diamond, .71cts, set in 18k yellow and 14k white gold. 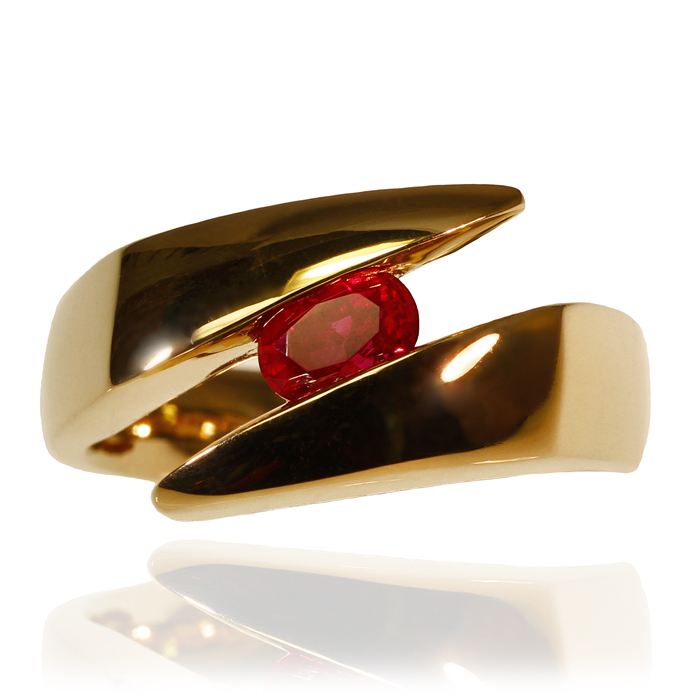 “Ruby E-Line” men’s ring — Burmese Ruby, 1.01cts, set in 14k yellow gold. 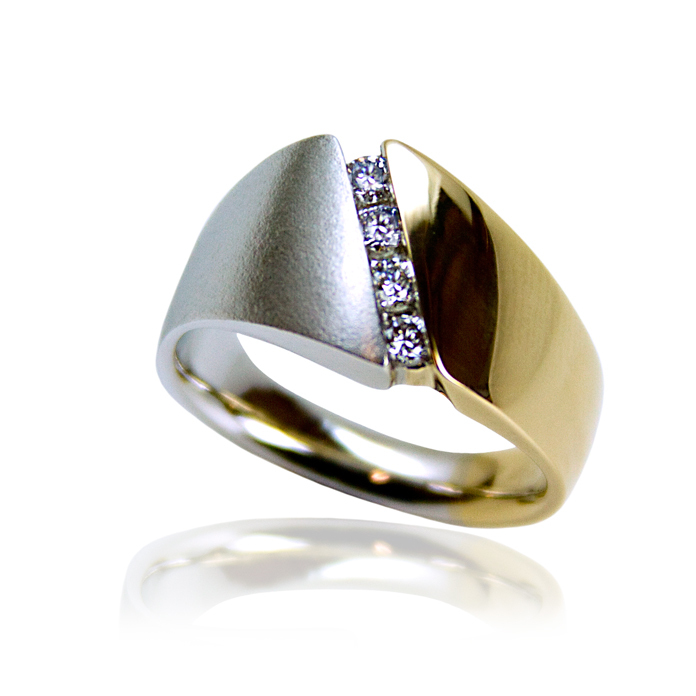 “Diagonal Channel” men’s ring —Four round cut Diamonds, .32cts, set in 14k yellow and white gold. “Triple Suspension” ladies ring – Three Princess cut Diamonds (one .76cts, two with a combined weight of .59cts), set in 18k yellow gold. “Elegant Channel Blue Dream” ladies ring, Round cut Tanzanite, 1.79cts, set in 18k yellow gold. “Offset Goldfire” men’s ring — Cushion cut Yellow Sapphire, 2.82cts, set in two-tone 14k white and yellow gold. 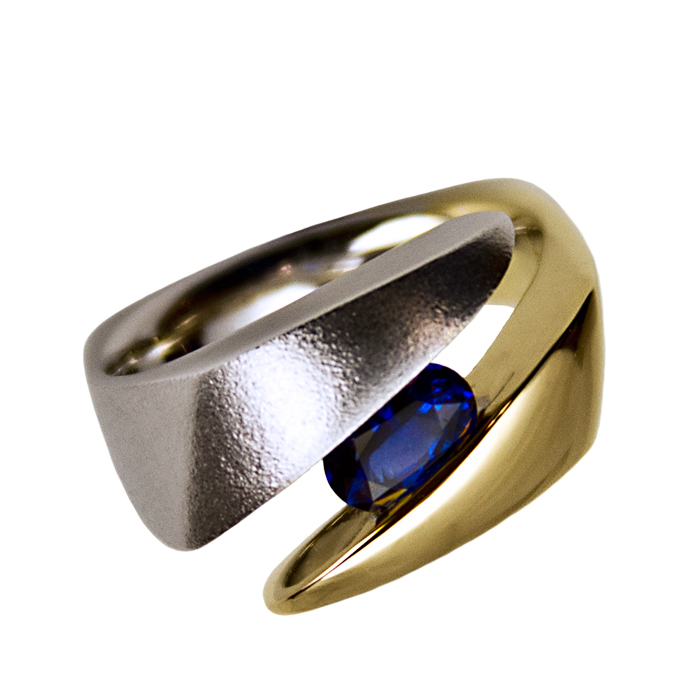 “Blue E-Line” men’s ring — Oval cut Ceylon Sapphire, 1.40cts, set in 18k and 14k white & yellow gold. 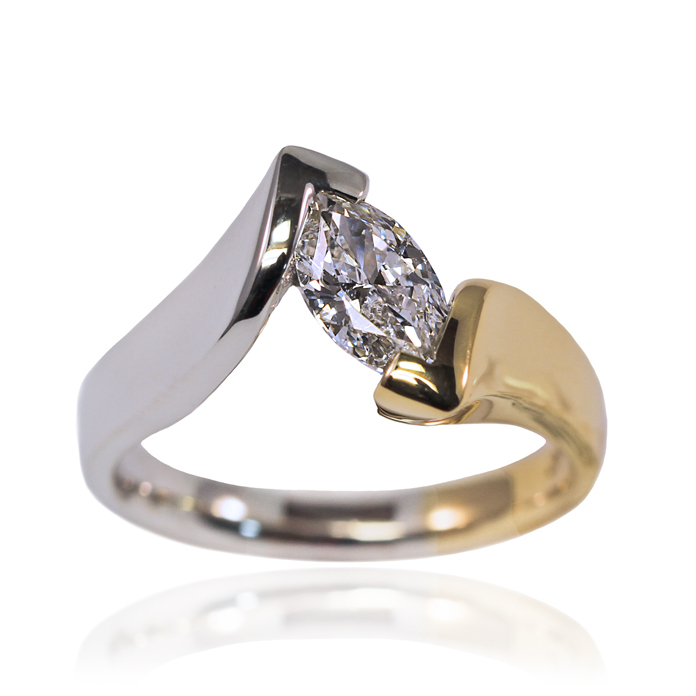 “Straight Channel” ladies ring – Round Brilliant cut Diamond, .39cts, set in 18k yellow gold and 14k white gold. 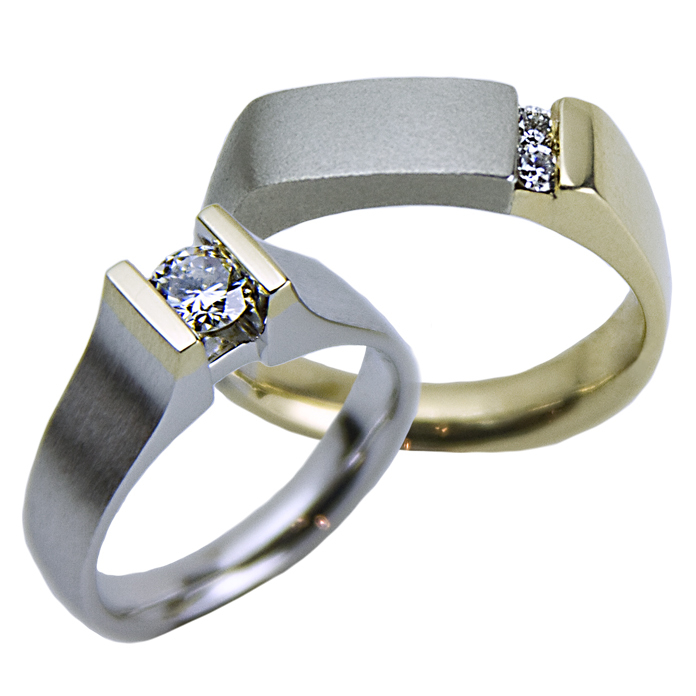 “Diamond Offset” men’s ring – Two round cut Diamonds, .11cts, set in 18k yellow and white gold. 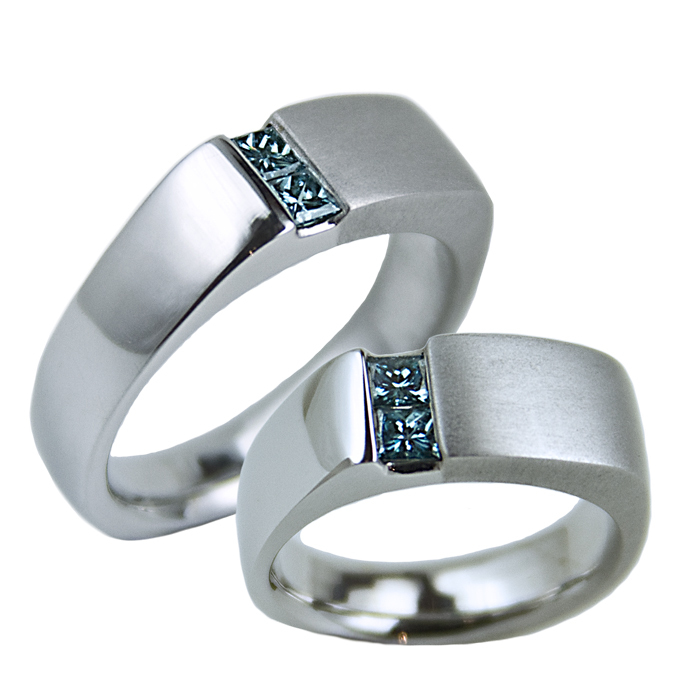 “Offset Channel” men’s & women’s rings — Two melee round cut diamonds set in white gold. 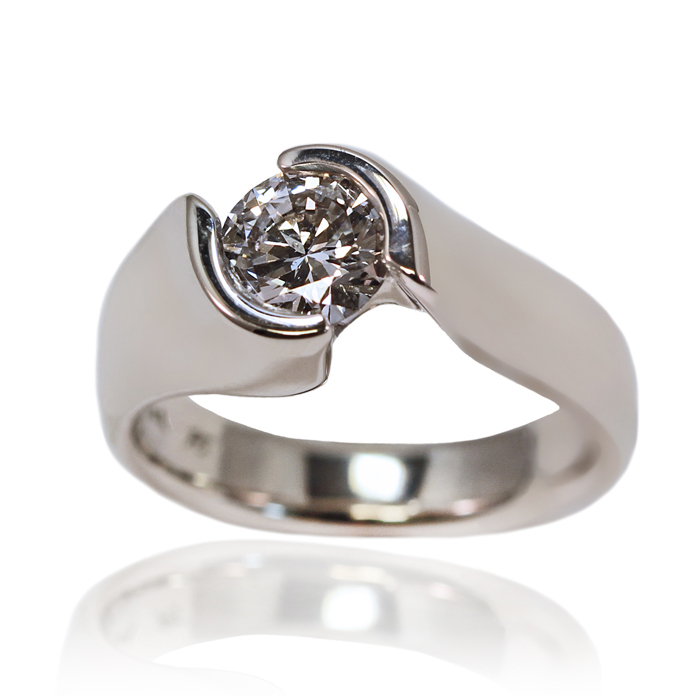 “Harmony III” ladies ring – Round Brilliant cut Diamond, .33cts, set in 14k white gold. 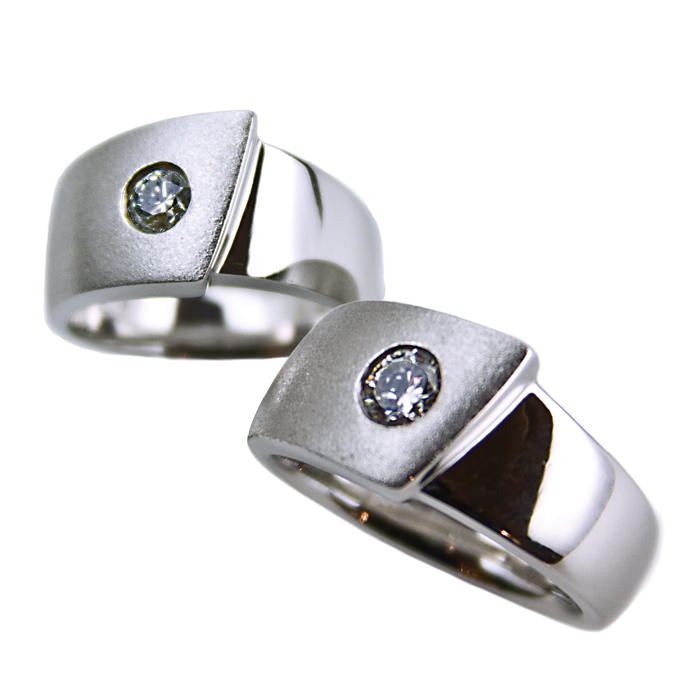 “Harmony III” men’s ring – Round Brilliant cut Diamond, .52cts, set in 14k white gold. 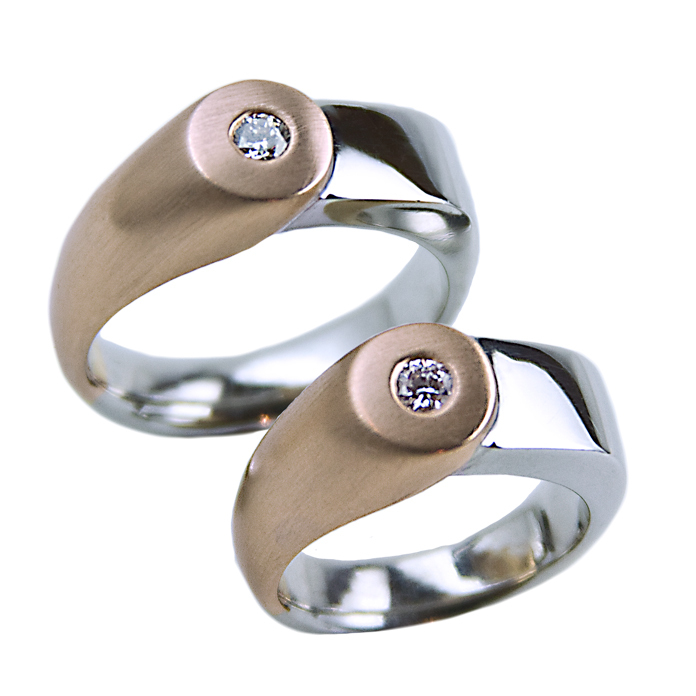 “Harmony Rose” men’s ring – Round cut Diamond, 15cts, set in 18k rose gold and 14k white gold. “Harmony Rose” ladies ring – Round cut Diamond, .14cts, set in 18k rose gold and 14k white gold. “Harmony Comet” men’s ring — Two round diamonds, VS, G-H color, with a total weight of .20cts set in 14k yellow gold and rhodium plated white gold. Ladies ring — Two round diamonds, SI, G color, with a total weight of .28cts set in 14k yellow gold and rhodium plated white gold. 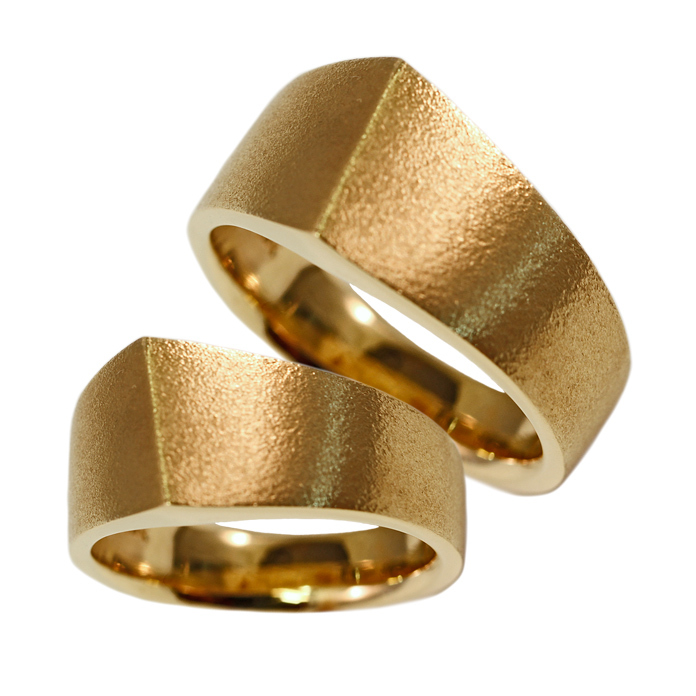 “Men’s Angle Band” ring – 18k yellow gold. 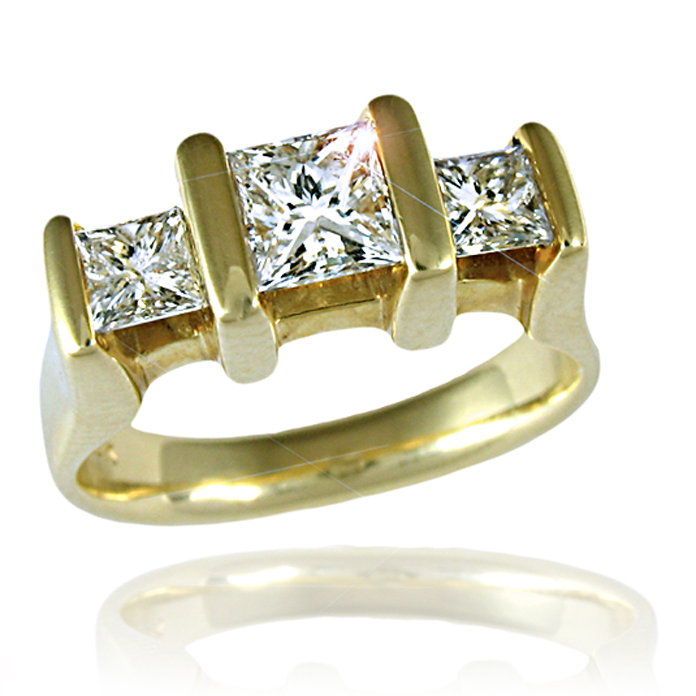 “Ladies Angle Band” ring – 18k yellow gold.